of Newark, 3.6 mi upstream from Belltown Run, and 22.6 mi upstream from mouth. PERIOD OF RECORD.--April 1943 to current year. REVISIONS HISTORY.--WDR MD-DE-79-1: 1943-70(P). WDR MD-DE-87-1: 1980-82(P). GAGE.--Water-stage recorder. Datum of gage is 24.52 ft above North American Vertical Datum of 1988.
to May 13, 1969, recording gage at site on left bank at downstream side of highway bridge at same gage datum. gage height, 13.89 ft; minimum discharge, 0.15 ft3/s, August 20, 1966.
and the U.S Geological Survey. CRITICAL LEVELS.--Action stage; 9.0 ft, flood stage; 11.0 ft, information provided by the National Weather Service. 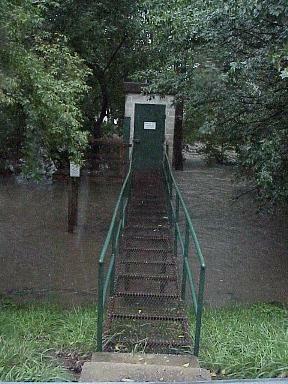 This station managed by the MD-DE-DC Water Science Center Dover office.